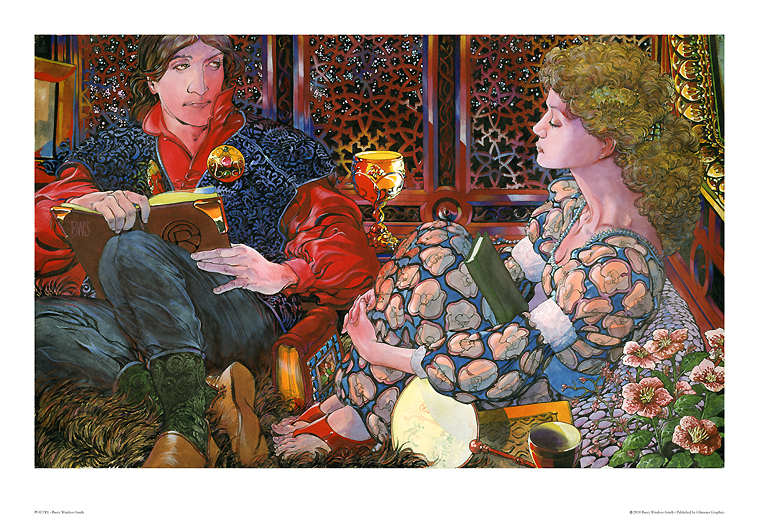 POETRY © 2010 Barry Windsor-Smith, A.R.R. was published on March 15, 2010 by Glimmer Graphics. Edition of 375, signed and numbered by Barry Windsor-Smith. acid free & pH buffered paper • Deluxe foil stamped presentation folder. Click to order directly from Glimmer Graphics.